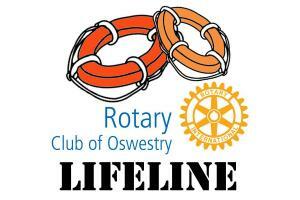 Since 2006, the Rotary Club of Oswestry has run its annual LifeLine event. 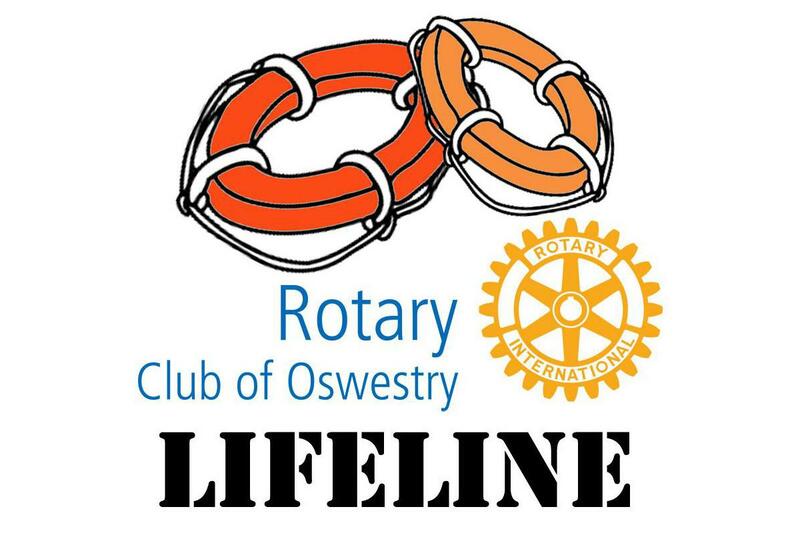 Based on the long-standing Rotary Project "Crucial Crew", LifeLine brings vital safety messages to Shropshire and Powys Year 6 children from over 20 different primary schools. 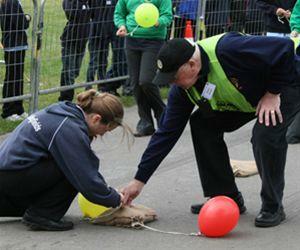 The week-long event not only features scenarios presented by Police, Fire Service, St John's Ambulance, British Transport Police and Coastguard representatives but also sessions on bullying, internet dangers, farm safety, cycling safety and road safety delivered by members of the Club. Many of the accompanying teachers comment on the particular relevance and effectiveness of the bullying and internet scenarios that the Club has developed. 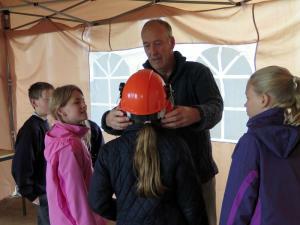 Funded out of a legacy from a well-known local teacher, writer and naturalist, Mary Hignett, participating schools only need to find a contribution to the cost of transporting pupils to the Park Hall event site. 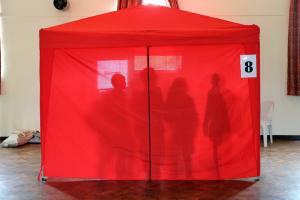 Once they have arrived and been briefed they visit each of the scenarios in small groups, typically of five or six children. 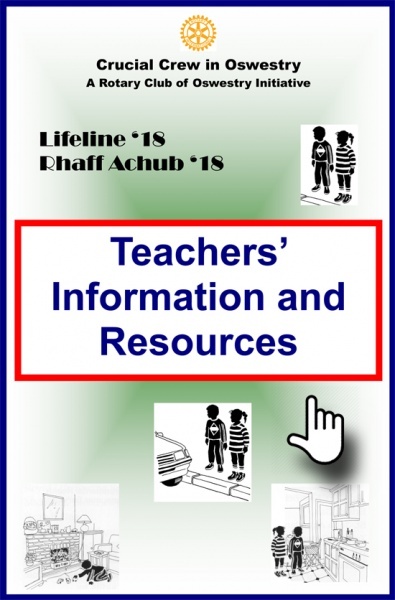 The Teachers' Information Pack V5 (8th September 2018) for LifeLine 2018 can be downloaded below. 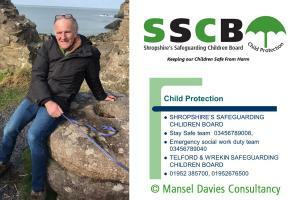 Mansel Davies, John's speaker today, will talk to us today about the hugely important topic of eSafety, particularly for Primary School pupils, before John introduces Club members to the 'Dark Web'. 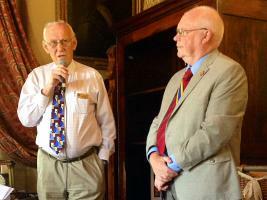 Visitors today included the Mayor of Oswestry, the Rotary District Governor and the Community Ambassador for the Police and Crime Commissioner for West Mercia. 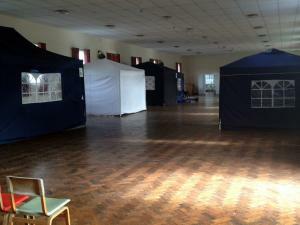 All volunteers to arrive as soon after 9.00am as possible - thank you! 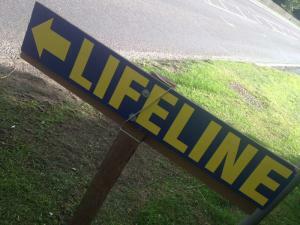 Today LifeLine will be visited by our VIP guests! 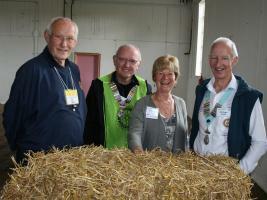 Today we were pleased to welcome two High Sheriffs, one Rotary District Governor and the Town Council Mayor - phew! 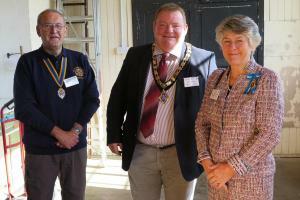 This morning we were visited by Rotary District 1180 Governor Chris Sumner and Oswestry Town Mayor Councillor Peter Cherrington. 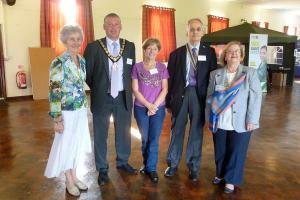 The Mayor of Oswestry and District Governor visit LifeLine. 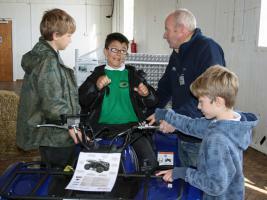 Details of the "Tell Us All About It" Competition. 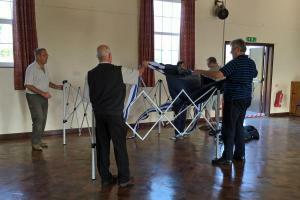 An Idiots Guide to our own LifeLine project! We were pleased that District Governor Philip Horwood PHF from the Rotary Club of Pwllheli and Oswestry Town Mayor, Councillor Chris Schofield, and Mayoress Mrs Val Schofield visited LifeLine yesterday. 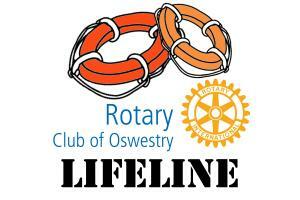 Since 2006, the Rotary Club of Oswestry has run its annual LifeLine event. 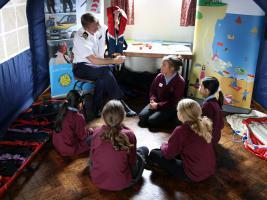 Based on the long-standing Rotary Project “Crucial Crew”, LifeLine brings vital safety messages to Shropshire and Powys Year 6 children from over 20 different primary schools. 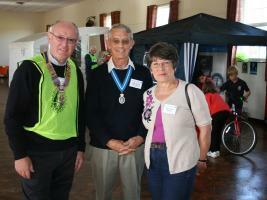 John Abram, High Sheriff of Shropshire, visits LifeLine 2012 with his wife Chris. 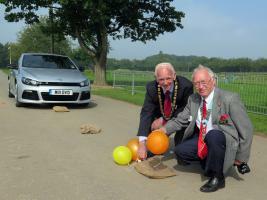 From 14th to 21st September, Park Hall Showground was once again the venue for the Rotary Club of Oswestry's highly regarded LifeLine event. 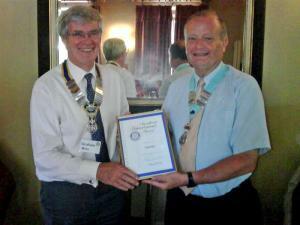 On behalf of Rotary International’s President D K Lee, The Rotary Club of Oswestry was today presented with a Significant Achievement Award by District Governor Vernon Schwarz for its Life Line (Crucial Crew) project.